A developing low-pressure system in the Gulf of Mexico could possibly be our next named tropical storm of the season. The tail end of the large cold front currently sweeping across the eastern half of the country could spin up a low pressure system that could further develop during the second half of the weekend and early next week. Water temperatures in the Gulf of Mexico are in the low 80s, certainly warm enough to sustain a tropical system. Regardless of whether or not this system actually develops into a tropical depression or a named tropical storm, Florida needs to brace itself for some gusty winds and heavy rainfall over the weekend and into next week. 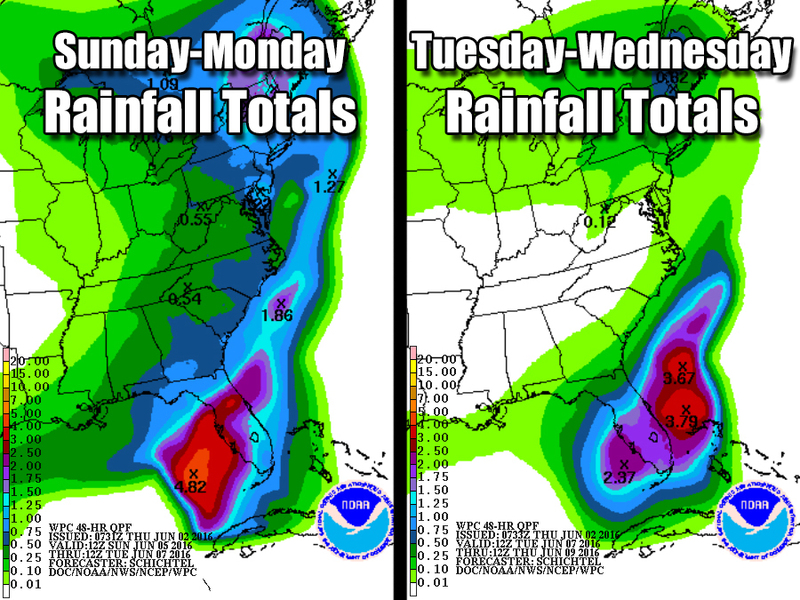 Some parts of that state could see upwards of five or six inches of rain from Sunday through Wednesday. This is a fairly common setup early in the hurricane season. 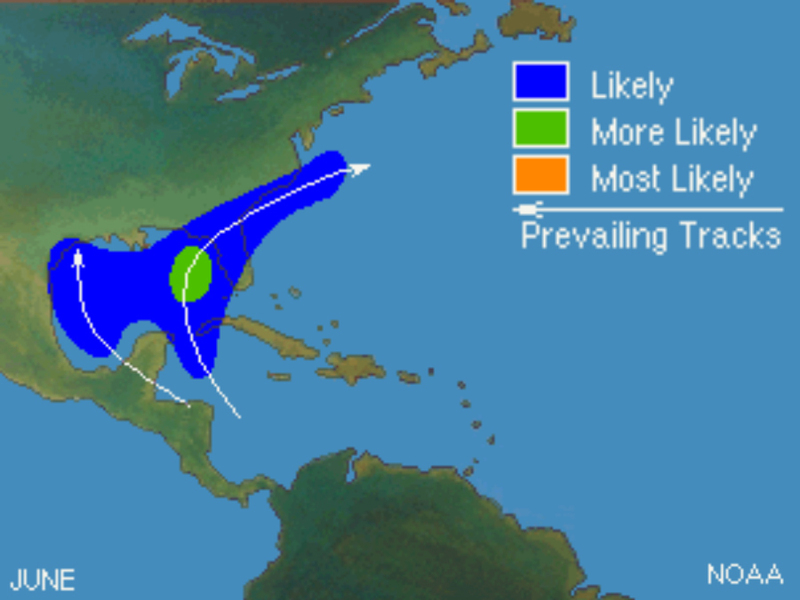 Most tropical systems that form in June initially begin from an area of unsettled weather on the tail end of a cold front over the Gulf of Mexico. It's still too early to say if this will strengthen and organize into a tropical storm, but if it does, Colin is the next name on the list of Atlantic hurricane names for 2016.